TCC dancers are riding high after receiving a prestigious honor. For the third time in its history, TCC’s dance program was selected to perform at the American College Dance Association’s regional conference’s closing Gala Concert. Two of the district’s four campus programs, NW and SE, represented the college at the conference last month at Lamar University, said Kim Jackson, NW humanities and dance associate professor. The five-day conference featured adjudicated and informal dance concerts, social gatherings, workshops and classes. TCC’s dance programs each year select works to perform and students to represent the district at the conference, she said. “NW Campus was selected to have two dance works out of 44 dance works for the adjudicated Gala culminating performance,” Jackson said. Being two of the 12 works performed at the Gala Concert is recognition of the quality of both the choreography and performances presented, said Lacreacia Sanders, NW dance associate professor and director of the Mosaic Dance Project, NW’s dance company. “In addition, it was noted that many of the works selected for this year’s gala reflected social commentary via the choreographers’ and performers’ artistic voices,” Sanders said. Members of the company were ecstatic to learn two of their works were selected when the Gala list was posted, she said. The last time TCC had a work selected for the gala was in 2006, but NW has attended ACDA since 2002 and each year selects faculty, guests and students to represent the college, which is the initial honor, Sanders said. NW student Kelsey Florence is a member of the Mosaic Dance Project and attended the conference for the first time this spring. Going to the conference allowed her to see dancers from different backgrounds with the same passion for dance as her, she said. But the most memorable part of ACDA was learning the company was selected to perform in the Gala. Florence, who performed in “Inside the Mask,” said performing at the conference meant a lot to her and was an amazing experience. The other piece Mosaic performed in the Gala was “Unambiguous,” which featured choreography by NW student Gabby Cunningham who became the first TCC student choreographer selected for a Gala concert. Cunningham is a second-year dance student and said the piece is about not turning a blind eye to human concerns, like race, one of the issues the piece explores. While Cunningham’s father paid, the siblings had a run-in with a white, elderly stranger who asked the siblings if they were OK. Cunningham said she was baffled by the “unambiguous” question the stranger asked them. The final piece performed by a NW dancer was the solo “Transmitting Messages,” which featured first-year NW dance student Holly Tate and choreography by NW dance associate professor Amy Jennings. “This work is built upon the ebb and flow of memory loss found in patients with a diagnosis of dementia,” Jennings said. SE’s dance program was also represented at the conference, said Brandy Niccolai-Belfi, SE dance associate professor. SE’s dance program has sent representatives to the conference for the last six years and has had at least one piece selected for the Gala in the past. 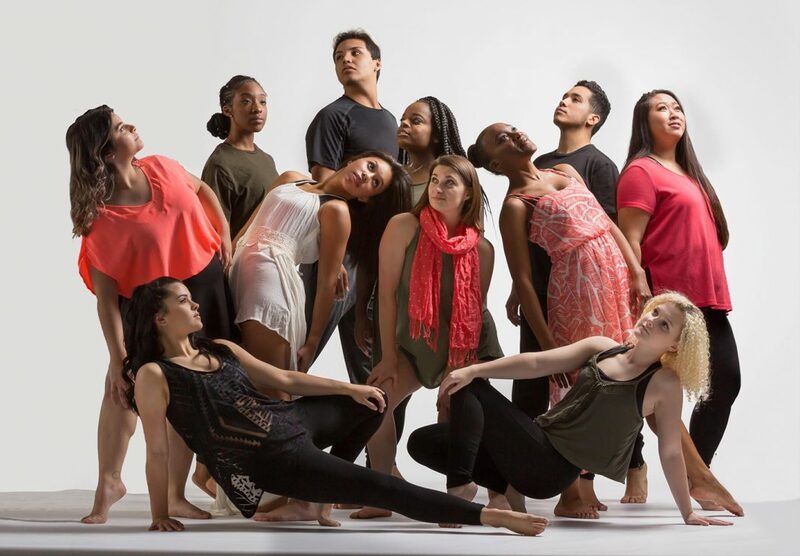 This year, the company entered two pieces choreographed by Niccolai-Belfi and students for the Gala and SE adjunct professor Claire Augustine’s “Eeffoc” for the informal concert. Though SE’s company wasn’t selected to perform for the Gala, the students attended over 15 master classes and watched over 13 hours of dance in seven concerts. Representing the college at ACDA reminds those at other universities that dancing in community college is important and a way for dance majors to start their education, she said. “Over the years, we have grown our presence at this conference, and we are now strongly recognized and appreciated,” Niccolai-Belfi said.